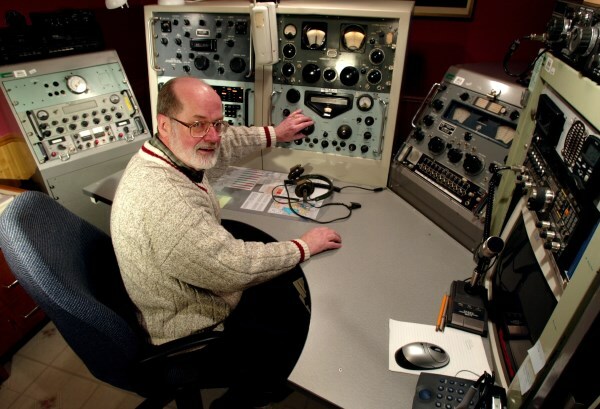 VE3UU’s Chief Operator is Brian Jeffrey. I was first licensed as VE3EBF in August 1957 and held onto that call until I went up to the Arctic (see the section on the DEWLine) where I held the call VE8SK. Upon my return I was licensed as VE3BCJ and I held onto that call for many years. Several years ago I took advantage of my many years in amateur radio to acquire a two-letter call and became VE3UU. I’m also the custodian of VE3CWM, the amateur station and former Emergency Radio Station at “The Diefenbunker, Canada’s Cold War Museum.” You can check out their website at www.VE3CWM.com. Here we have an antique (me) surrounded by other antiques! The term Chief Operator is a bit of a misnomer as I don’t really do much operating. Even as a youth, I got a bigger kick out of building and repairing radios than I did operating them. When I’m not working on a radio I spend time SWLing. I still get on the HF bands from time to time to see if I can find someone to ragchew with. Now that I’m semi-retired, I find myself returning to the hobby and spending more time on the air. Over the years I’ve thinned out most of my boatanchors while I could still pick them up and move them without getting a hernia. Like an old wine that gets better with age, I’ve also gotten better as I’ve aged as you can see from the photo below. 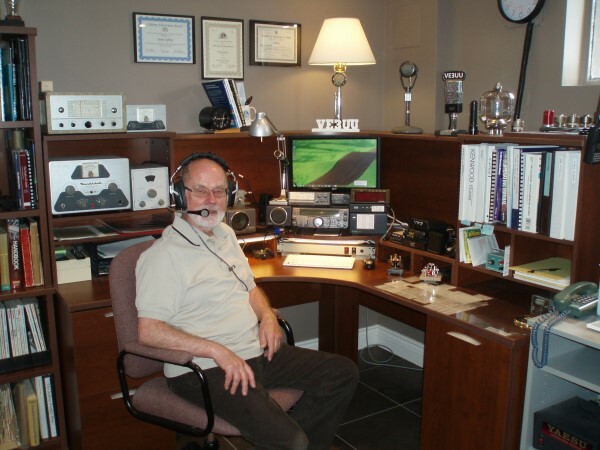 Amateur Radio operator, 73 years young and counting backwards. Over the past few years I’ve rekindled my interest in CW and have been slowly improving my abilities in this ancient art, preferring a straight key over a bug.